When you are preparing your home for sale, the running list of repairs and to-do’s can be overwhelming. This blog post will help you on whittling those things down, prioritizing your to-do’s, and get the most bang of your budget. This is under the assumption that no major repairs are needed for preparing your home for sale. We do recommend getting a pre-inspection report to anticipate any major repairs that can put your home sale at risk. Major repairs like a leaky roof, a cracked foundation, sewage problems, mold, etc. are all common causes of the home not selling or a major price reduction. Fixing any major repairs will be your first priority before you go on the market. However, there is one downside to the report, which is that you will need to disclose anything found during pre-inspection to your buyers. If you are unsure if you want to get a pre-inspection report, we recommend discussing this with your real estate agent. A local and experienced real estate agent will always be the best asset in your home selling process. The reason why we recommend getting a pre-inspection report is because, in our experience, we had seen several client’s sales being stalled with major delays because the buyer’s inspector found something serious during the home inspection. For example, one client had to pull their home off the market after it was for sale for a month. During the buyer’s home inspection, they found a major problem with the home that the seller was not aware of. 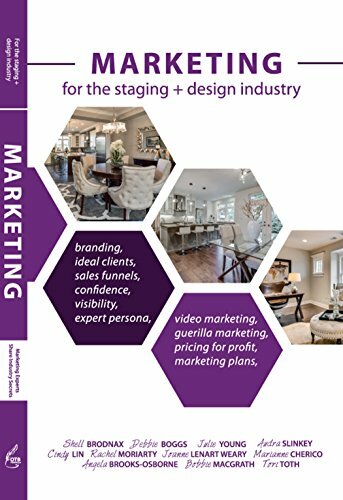 Because it was a dealbreaker, they lost the buyer and had to go off the market to repair the problem before re-listing it, which was really heartbreaking since they already invested in marketing and invested in staging. They had to invest in all that again when they re-listed the home, not to mention all the other costs that they already paid preparing the home for sale. Statistics also support the argument of having a pre-inspection report. Based on a survey by National Association of Realtors (NAR), home inspection/environmental issues accounted for 19 percent of delayed contracts. When you are selling a home, a delay means more costs for you. You will need to pay any mortgages while the home is not sold, as well as any additional costs like homeowner’s insurance, showing costs like electricity, water, etc. In addition, according to an article by HomeAdvisor, the national average cost of a home inspection is $278-$390 in 2019. In the case of the inspection report uncovering something that can cost you a major price reduction or even breaking the deal, even $390 is well worth the investment to take any preemptive actions to prevent any delay or any major price reductions. To start, make basic updates and repairs. These can include changing outdated fixtures, outdated outlet/switch plates, lighting, etc. It is becoming more popular now to update the outlets with USB charging capabilities, especially for the bedsides. Home repair costs can vary depends on your location and situation, but in general, any visible damage should be fixed — stained carpet, cracked windows, major scratches/damages on the hardwood floor, broken or overflown gutters, etc. When you have almost no budget, the biggest visible change in aesthetics will be through cleaning. A dirty home gives a terrible first impression to potential buyers. Not only people are turned off by a dirty home, they will also immediately think that this home is not well-maintained if the homeowners can’t even keep up with basic hygiene. This means a thorough, floor-to-ceiling cleaning job. Pretend that the most important guests are coming to visit your home, like your boss, your mother-in-law, etc. On your home’s exterior, power-wash your siding, windows, the deck, the driveway, etc. This can be DIYed. You can rent a pressure washer from a local big box retailer like Home Depot for about $35 a day. You can also do a lot of basic landscaping on your own, like removing any weeds, trimming any plants that have dead or sick parts, adding inexpensive but colorful flowers at the front door, etc. Clear any debris from the front door and give the front area a good sweeping. Remove any potentially dangerous plant growth, especially if it can pose a danger to visitors. Any dead or sick vegetation on the property should be trimmed as well. You don’t want to give the wrong first impression when the buyers first walk up to the door. On the interior, make sure the entryway is cleared and welcoming. Pay special attention when it comes to the kitchen and the bathrooms. These areas need to be spotless. If the grout is dirty, clean that too. Don’t forget the inside of your cupboards, pantry, and closets as well. The buyers will not open your dressers, etc., because they know that those will be moved when you move, but they are going to care about the size of storage spaces and they will open them to check. So make sure that these areas are neat and clean. Similarly, if you have built-in shelves, dust them so that it looks like they are cleaned regularly. In general, if you have carpeting, consider having it shampooed, especially if it is discolored. If it is in good condition, give it a good once-over with your vacuum. A lot of times, allergens and dust hide in the carpeting, which can trigger reactions for potential home buyers, so be diligent in vacuuming to reduce those chances. Lastly, besides cleaning, remove anything you will not need for the next three months (or whatever the average selling period is in your market) while the home is on the market. This will help to reduce any visual clutter in the closets, on the counter, etc. You can leave decorative items out if they will help build the ambiance for the potential home buyers. Simply by cleaning vigorously and tucking things away, you will already make big and visible difference in presenting your home for the market. When you have $1,500 or less in you budget, other than the aforementioned tasks, you can also consider upgrading outdated appliances to eco-friendly versions, like the dishwasher, laundry machine, etc. You can also make small upgrades in the bathrooms, like updating the vanity and sink, adding better light fixtures, change the faucets, towel bars, replacing the toilet, etc. If your kitchen cabinets are very outdated, one of the most affordable ways to transform them is with a fresh coat of paint. This can cost around $200 for supplies if you can do it yourself or $1,000 if you hire a professional, according to HomeAdvisor. Adding new hardware will also help. Another solution is to remove the doors and opt for open shelving, which is very on trend right now. If your wall colors are outdated or super-personalized, I would recommend painting. Out of all the home improvement projects, paint will get you the most bang of your buck. If there are areas on your walls that are obviously faded by the sun (when you see patches of uneven colors on your wall), repaint the walls with an updated color, as it is very difficult to match the paint again to cover the sun-faded spot. Paint is not just for the wall! You can repaint the front door, baseboards, molding, and even outdated furniture. You can also consider adding baseboards and molding, if you don’t already have them. Other popular update options include updating the thermostat to a programmable one, changing the front door, and updating your lighting fixtures. On the exterior, you can also invest in new plants, trees, sod, add a new walkway/path, add shutters, flower boxes, to boost the attractiveness factor. You can also invest in some home goods to improve the staging of the home. Things like fresh towels, attractive bedding (if your existing linens are not in good condition), adding curtains, some decorative items that fit with the buyers’ ideal lifestyle, etc. 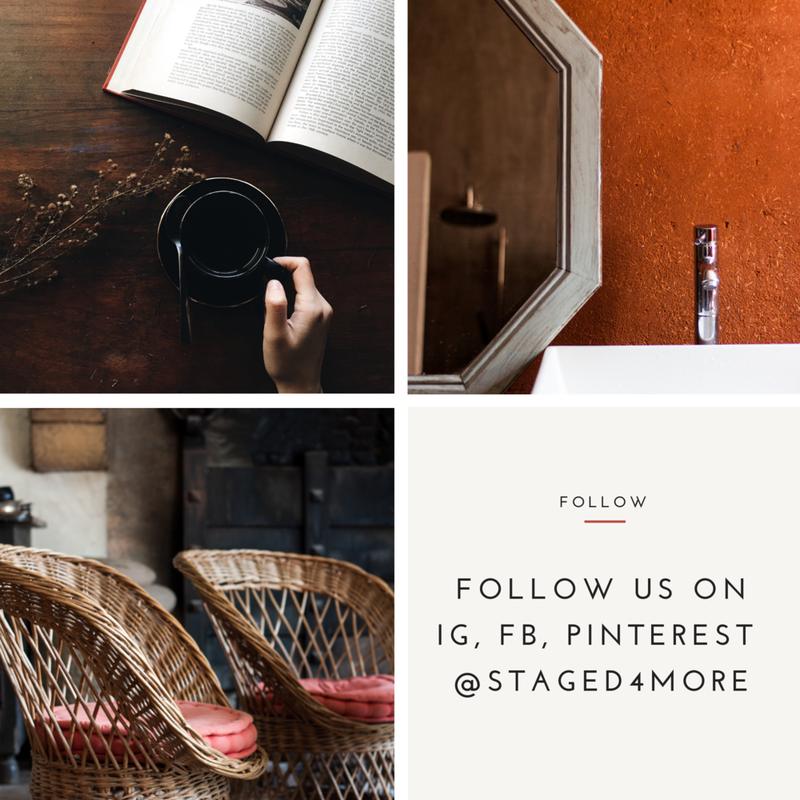 Only invest in items you truly need for staging the home and have a game plan in mind, otherwise, it is very easy to go overboard and blow your budget. When you have $5,000 or less in you budget, other than the aforementioned tasks, you can also consider updating your flooring. A lot of our clients were selling older homes where there was still carpeting from the 60s and 70s. (Can you say, “Yeah, baby” Austin Power-style?) One of the most affordable ways to update that is to peel back the carpet in the corner and inspect the subflooring. Oftentimes, they were hardwood floors. If the subflooring is in good condition, you can rip out the carpet and refinish it. Based on data by the HomeAdvisor, typical range of refinishing hardwoord floor is $1,072 - $2,377. According to the 2017 National Association of the Remodeling Industry report, kitchen upgrades are ranked as one of the highest appeals to home buyers, with a Joy Score of 9.6. These updates can include updating the sink, faucets, countertop, backsplash, refacing the cabinets, adding lighting, updating lighting, hardware, and fixtures. If you live in an area where noise is an issue, you can also update the windows to double-panes. They are not only great for blocking out noise, they are also energy efficient. And don’t forget about your curb appeal! If the exterior paint job is not holding up, a repaint may be in order. Based on a HomeAdvisor survey, painting an average home between 500 and 1,500 square feet can cost between $1,000 and $3,000. However, factors such as number of stories and ease of access can also affect the overall price. Homeowners report that the average cost to paint a house nationally is $2,581 and most pay between $1,714 and $3,682. If the driveway is in poor condition, consider re-surfacing. Based on data compiled by Angie’s List, expect to pay about $2.25 per square foot for basic driveway resurfacing. So a typical residential driveway of 750 square feet would cost about $1,687. If you want patterns or colors, you’ll be paying more, around $4 to $8 per square foot, or $3,000 to $6,000 for a 750-square-foot driveway. Fix all the deal breakers, such as mold, roof damages, foundation issues, etc. Anything that can cause the sale to fall apart. Clean and make any minor and visible repairs for both exterior and interior of your home, like broken gutters, broken fences, cracked windows, etc. This is very important because the last thing you want to do is to make the buyers feel that the home is not well-maintained. This will taint their overall impression of the home and make them feel uneasy about the possibility of upkeep and maintenance costs. Smaller upgrades in kitchen and bathroom. In general, updates in kitchen and bathroom will get you the highest ROI. Minor kitchen and bath upgrades can include painting, new hardware, new fixtures, new lighting, vanity, cabinet doors, etc. This is not the time to make any major remodels. You will not be able to get your return on investment back in 3-6 months, even a year. Not to mention the work may delay your on-market time, which can make a huge difference in your sale. If you have budget leftover, invest in the more expensive of the minor upgrades like refinishing the floor, updating appliances, etc. Here is a handy worksheet for you to help you prioritize your projects. What did you think about these home improvement projects? Did I forget anything? Add yours in the comment section below.